This weekend we took a short trip to San Gimignano, arriving Saturday evening and leaving by Sunday evening. San Gimignano is a small but unique “borgo” or village in the province of Siena, surrounded by 12th century walls and characterized by numerous medieval towers which make the view of the town from afar breathtaking. 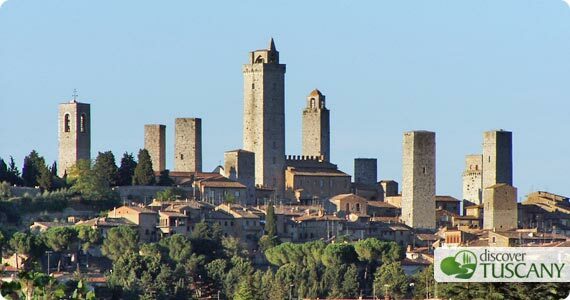 San Gimignano is just an hours drive from Florence and even if we’ve visited it before, we were happy to go back and rediscover it all over again. On Saturday we arrived just in time to enjoy a delicious dinner in the quiet restaurant Le Terrazze, located in Piazza della Cisterna. Afterwards we walked through the small streets, quite surprised to find the town quiet with few people walking around. We had imagined there would be more people and noise around given the season. We spent a good night’s sleep at the Bel Soggiorno, a three star hotel near Porta San Giovanni. On Sunday morning as we left the hotel we realized the calm from the evening before was only temporary: the center was full of visitors and many were still arriving. Despite the greater number of people, we were able to continue exploring the streets calmly, without lines or crowds. 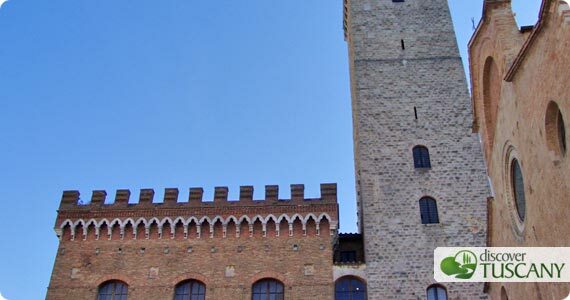 The Torre Grossa (large tower) and Palazzo Comunale (city hall) were our first cultural destination. The Tower is the only one that can be visited and was worth the climb up to enjoy a fantastic view over the town and of the Val d’Elsa (the climb up was quite easy, except for the small metal ladder at the very end). In spite of the afternoon heat, we went down to the Fonti Medievali, the spring that has provided water to the town throughout the centuries and which is located a good distance below the historical center. We cooled down afterwards by visiting the Gelateria di Piazza, a gelato shop which has won several awards and which we had to “test” ourselves! It wasn’t possible to try all of their flavors but from what we did taste, we definitely agree a stop here is required…yet another great reason for us to return to San Gimignano again soon!